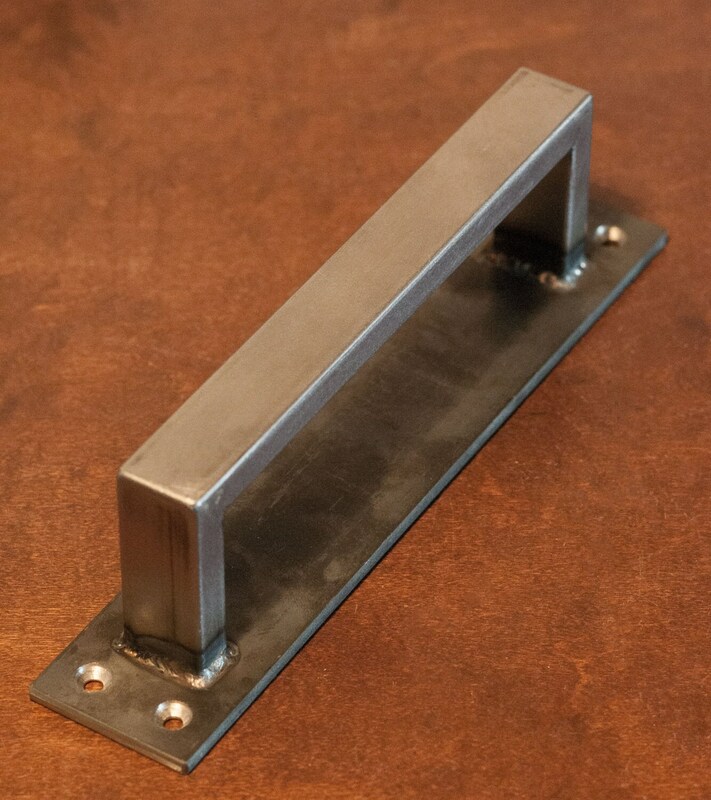 Barn Door Handle - 1/2" x 1" Rectangle Steel on Low Profile 2" Backer - Loft Door, Industrial Door 10" - 26"
This barn door handle is made of 1/2" x 1" rectangle tube and will stand up to any punishment you could throw at it. 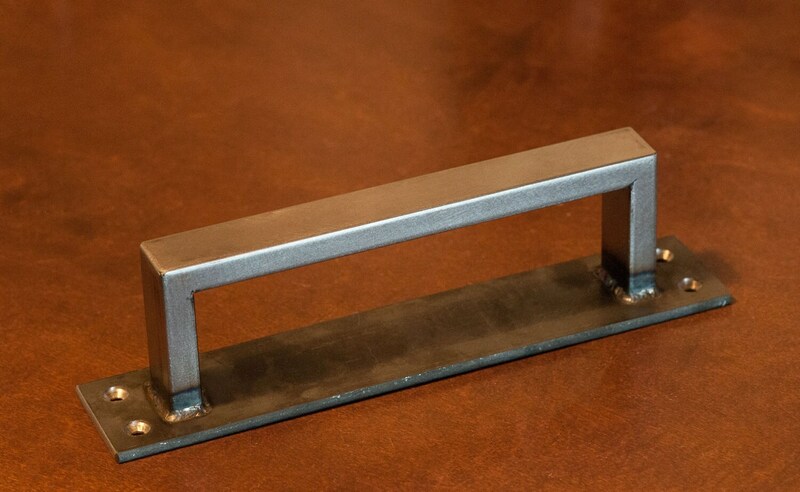 Welds are ground clean and smoothed. 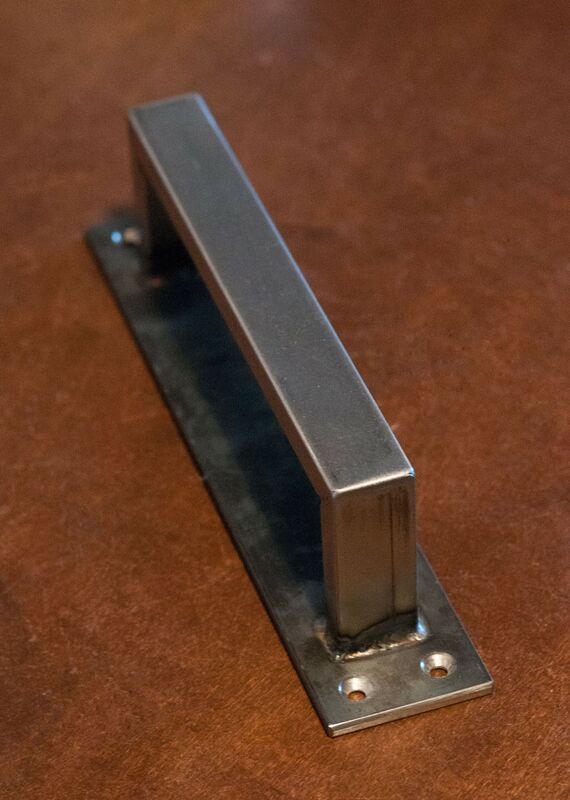 Once its finished, the whole piece gets a coat of clear to bring out the natural beauty of the steel. Excellent for commercial/exterior use. It looks even better than the photos, we love it, thank you for the prompt shipment. 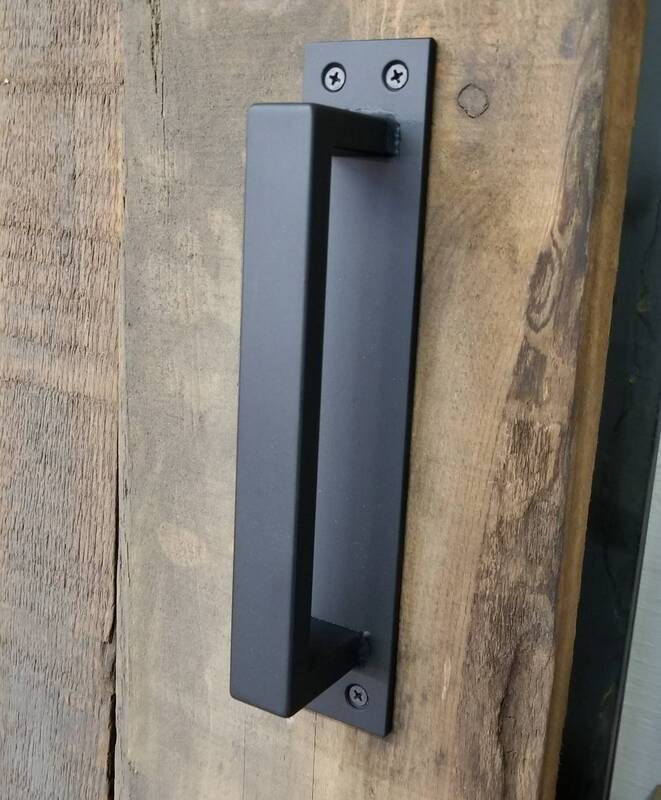 Great, high quality barn door handles! Love the heaviness of the pulls! Thanks!